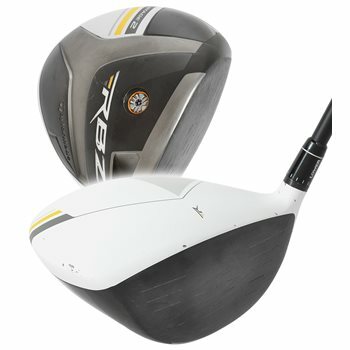 The RocketBallz RBZ Stage 2 Driver has an expanded clubface that gives the golfer substantially more face area. This driver is faster and longer than the original RocketBallz driver. The improved aerodynamics reduces drag and promotes faster clubhead speed. The thick-thin crown provides a lower, more forward CG locaion for faster ball speed, high launch and low spin. The New loft sleeve technology offers 7 standard and 5 upright loft options to add or subtract 1.5° to each of the available standard lofts. The result is bigger face and better aerodynamics for more distance. TaylorMade Loft-Sleeve technology offers 7 standard and 5 upright loft options to add ±1.5° to each of the available standard lofts. Review by Davie, 8 months ago.